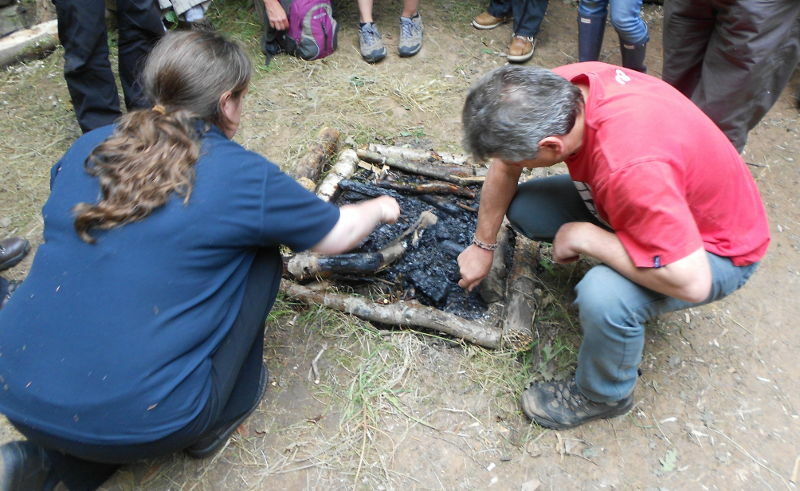 The steps to safely extinguish a camp fire should be followed as detailed in the section 2.3 – Demonstrate how to safely extinguish a campfire and explain how this can be taught to a client group. You should leave the permanent fire site safe and clean and tidy ready for the next person to use. Once the fire is extinguished any pieces of food or foil should be picked out of the fire and taken home with any other rubbish. Spread the ashes over a wide area. Any wood that was collected but not burned should be stacked near the fire for next use.